Stock status is current as of 4/21/2019 2:49 PMET. 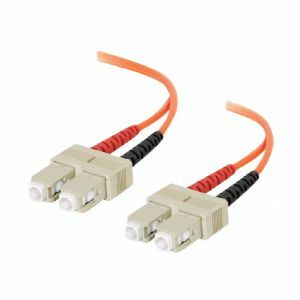 With SC to SC termination, this high-quality fiber optic patch cable is specifically designed for Ethernet, multimedia, or communication applications. The SC connector features a push-pull locking system. The patented injection molding process provides each connection greater durability in resisting pulls, strains and impacts from cabling installs.